Want to win a Fiesta? 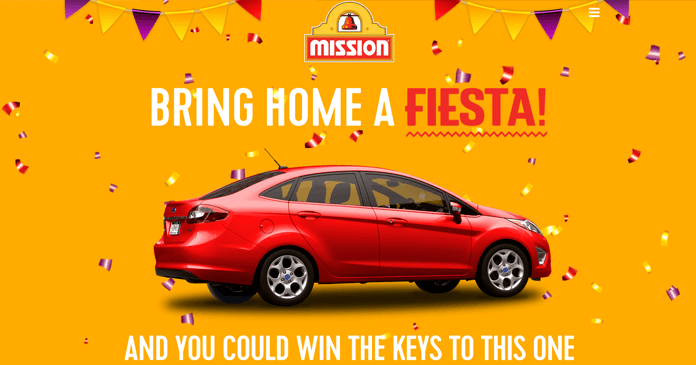 Just in time to celebrate Cinco de Mayo, Mission Foods is giving you the chance to win a Fiesta in the Mission Bring Home A Fiesta Sweepstakes 2017 running online at WinAFiesta.com. A total of 8 lucky grand prize winners will each win the keys of a brand new 2017 Ford Fiesta valued at over $15,000 plus $3,000 in cash. That’s $161,272.00 worth of cars and cash. Click “Submit” to complete your entry and be entered into the Sweepstakes. 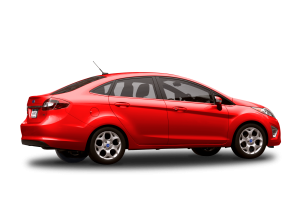 Eight (8) Prizes: A 2017 Ford Fiesta and $3,000 (awarded as a check made payable to winner). Approximate Retail Value of each Prize: $20,159. Total ARV of All Prizes: $161,272. The Mission Bring Home A Fiesta Sweepstakes 2017 is open to legal residents of one of the 48 contiguous United States or Washington, D.C., who are age of majority or older (age 19 or older in Alabama and Nebraska and age 18 in all other states and D.C.) at time of entry. Starts at 12:00:01 AM ET on April 1, 2017 and ends at 11:59:59 ET on May 5, 2017. There’s a limit of one sweepstakes entry for the entire Sweepstakes Period, regardless of method of entry. The 8 potential grand prize winners will be randomly selected in random drawing to be conducted on or about May 12, 2017 from among all eligible entries received. To obtain the names of the winners, send a separate, self-addressed, stamped #10 envelope to: BRING HOME A Fiesta Sweepstakes Winners List Request, 532 Gibson Drive, Suite 250, Roseville, CA 95678. Requests must be received by June 30, 2017. Sponsored by Gruma Corporation, 5601 Executive Dr., Suite #800, Irving, TX 75038 and administrated by Promotion Fulfillment Center, 311 21st Street, Camanche, Iowa 52730. I am so glad to find so many sweepstakes as I have always loved entering sweepstakes. So glad I found this, because of the Wheel of Fortune Sweepstakes. I will continue to stay on this website. Thank you so very much.